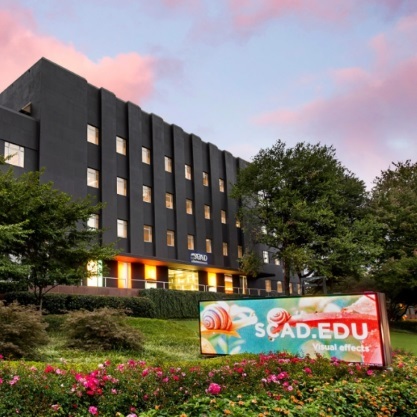 SCAD Atlanta is located in the center of a fast-paced, major metropolitan marketplace, with more than 100 art galleries and 1,000 international businesses. Facilities include classrooms, galleries, computer labs, an acclaimed sculpture studio, the historic Ivy Hall writing center and much more. Parking: Free parking is available in the SCAD Atlanta parking deck located at the rear of the main building. MARTA: Take the Red or Gold Line to the Arts Center station. Head north on West Peachtree Street NW and continue on Peachtree Street NE. SCAD Atlanta will be on the left.